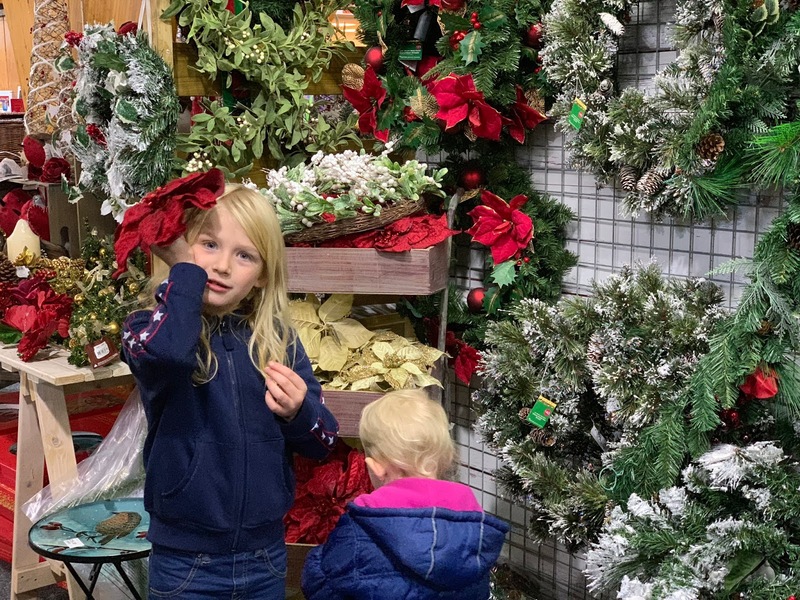 Christmas is coming and like many families we enjoy visiting a grotto in the run up to get us in the Christmas spirit. 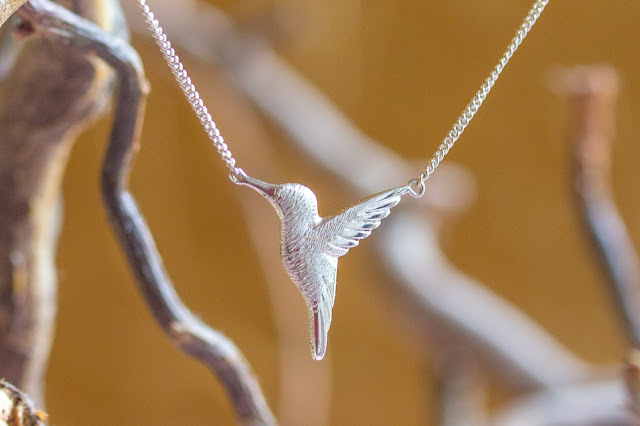 There are so many places to choose from which range in the level of experience and the price. 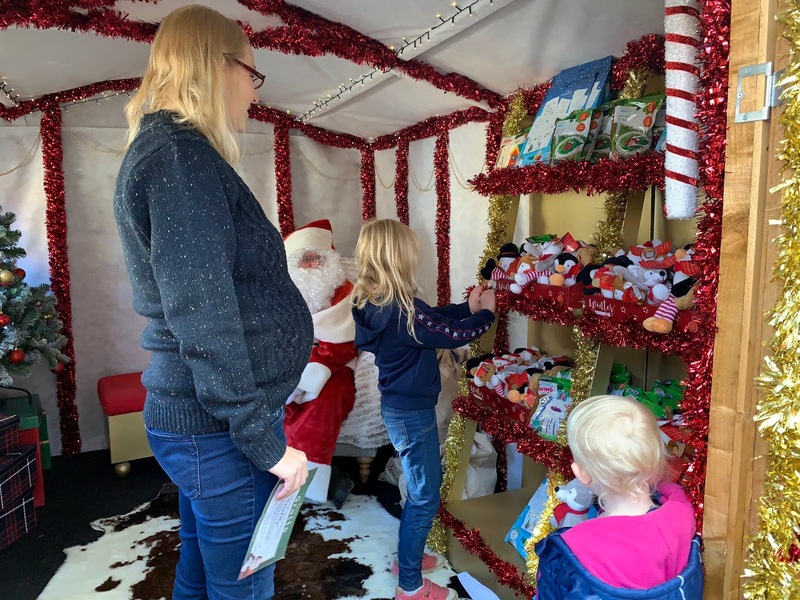 Which sort of Christmas grotto you want to visit will depend on your budget, the personality of your children and the time you have available. 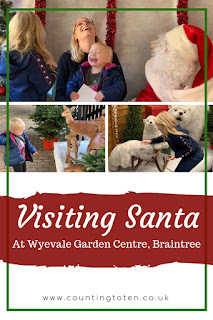 This year we were invited to Wyevale Garden centre in Braintree to see Santa, or Father Christmas as I prefer to call him. It is a short and low cost grotto experience with prebooked slots so you don’t need to queue. 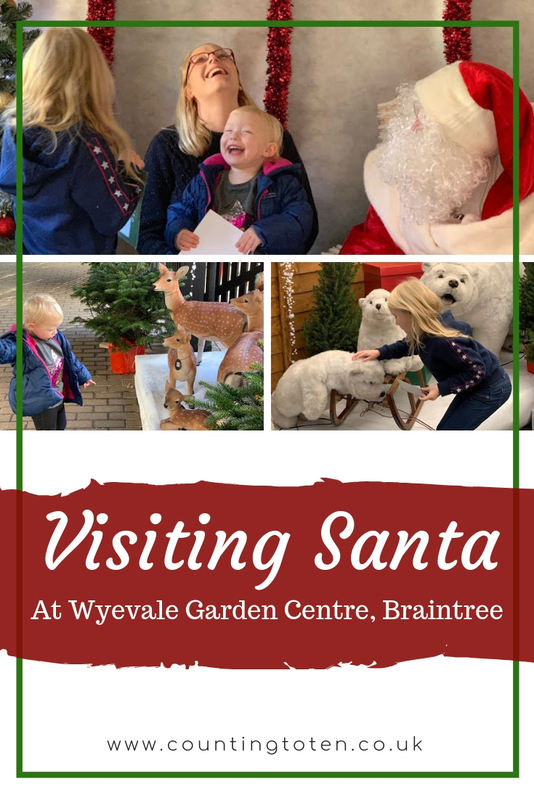 The Wyevale Braintree Santa's Grotto is aimed at 3 to 8 year olds, costs £6 per child and is open weekends between now and 16th December, then everyday up until (and including) Christmas Eve. It’s a great place to go for a first visit to Father Christmas or when you don’t want to spend all day, plus as you book a time slot you won’t have to wait around for long. 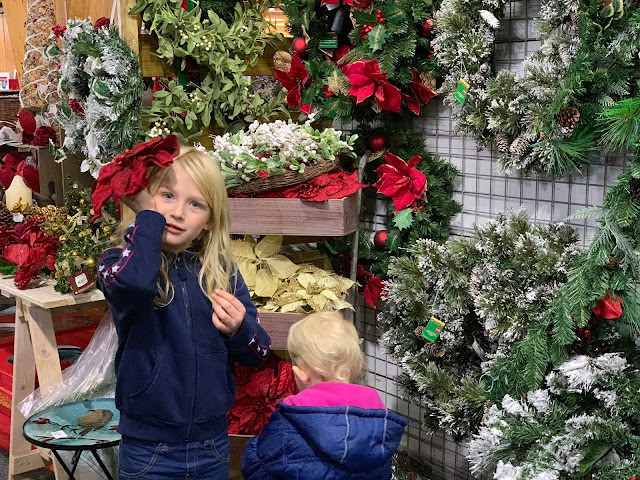 The grotto is basically a shed with Christmas decor outside and while it’s small the Father Christmas did have some charm. The lower key experience is perfectly suited to children who may be nervous of visiting Father Christmas or who are easily overwhelmed. Like all good garden centres at this time of year Wyevale has a great selection of Christmas decorations, Trees and lights. 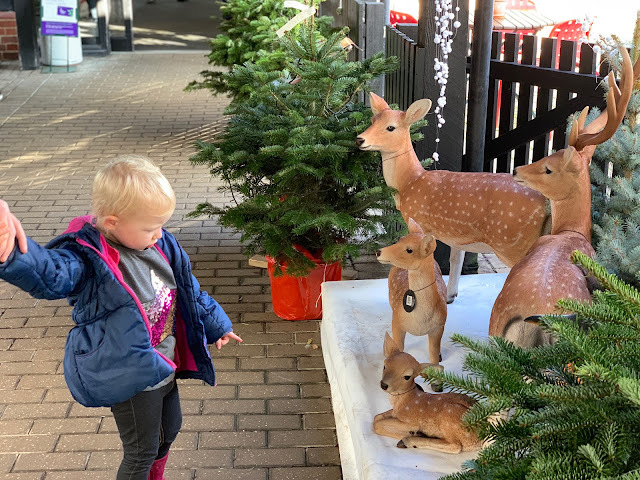 As we were slightly early for our booked slot we spent some time wandering around the Christmassy areas to get us in the mood. We registered with an elf outside Santa's Grotto and she gave both girls a certificate for being good “all year” (there clearly must have been a mistake) and said that they were rewarded with a magical visit to see Santa. 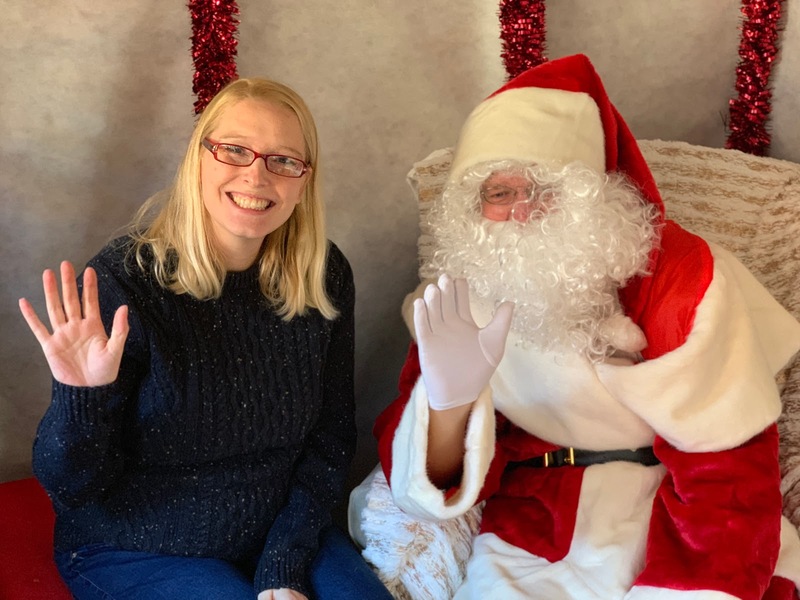 My daughters were nervous as we went in and initially refused to step over the threshold of the shed, so I went and sat next to Father Christmas and we both tried to encourage them to come over. 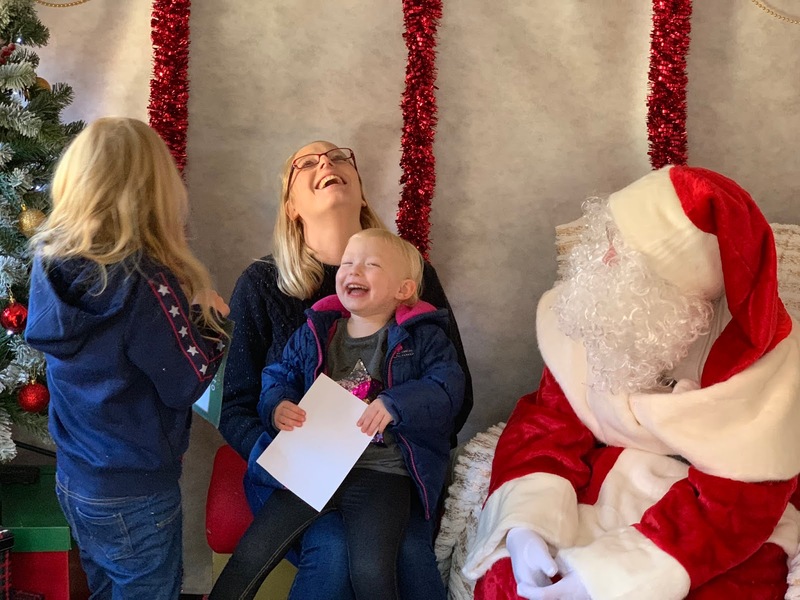 Father Christmas’ beard was as wild as my eldest daughter’s hair first thing in the morning, but his temperament was much better. 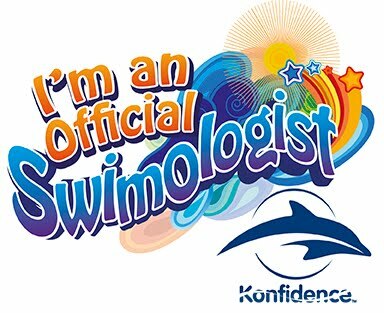 He asked us all questions and showed a genuine interest in what my daughters said. 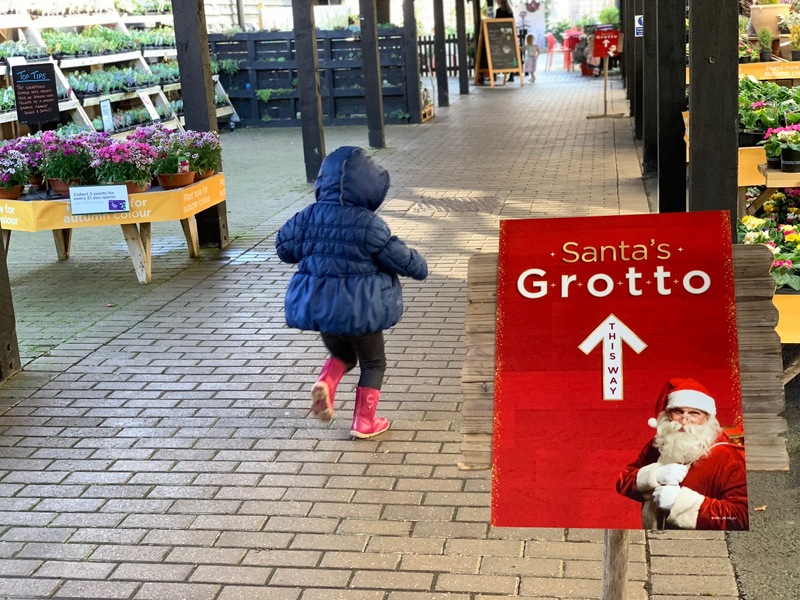 It was lovely that we weren’t at all rushed so there was enough time for my children to get used to Father Christmas. 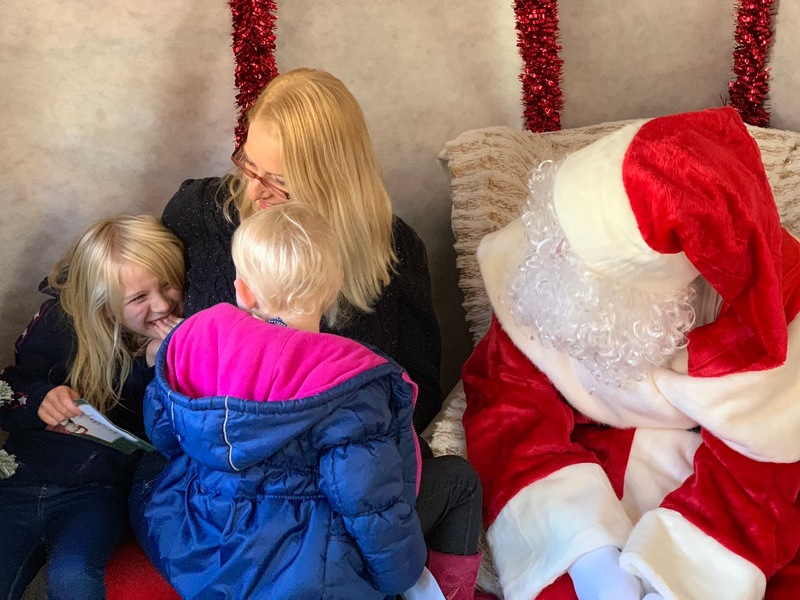 My daughters were encouraged to chat and ask questions, but there wasn’t too much pressure on them and Father Christmas was happy to make the conversation when they were too shy. He worked hard to make them relax with questions like “have your parents been well behaved?”, which obviously M said “No” to. When asked why she said that I had been stealing her sweets and I have to give it to her, she’s right, but it’s for her own good, she gets bought far too many. After a good length chat the girls were invited to choose a present each from a display. This meant they could both choose something they liked. My eldest chose a craft kit to paint a bird house and my youngest a cuddly toy wolf. There is no official photographer and we were able to take our own photographs which was great as this often ends up being an additional expense at many grottos. It’s important to capture the memories on these occasions, but I don’t like it when I feel forced to pay to do so. On the way out of the garden centre we spent some time looking at the toy section, in The Works store and the aquarium which has a really wide selection of fish etc. 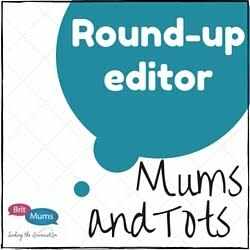 This kept the girls entertained for a while, but there is also a restaurant and small soft play if we had wanted to stay longer. 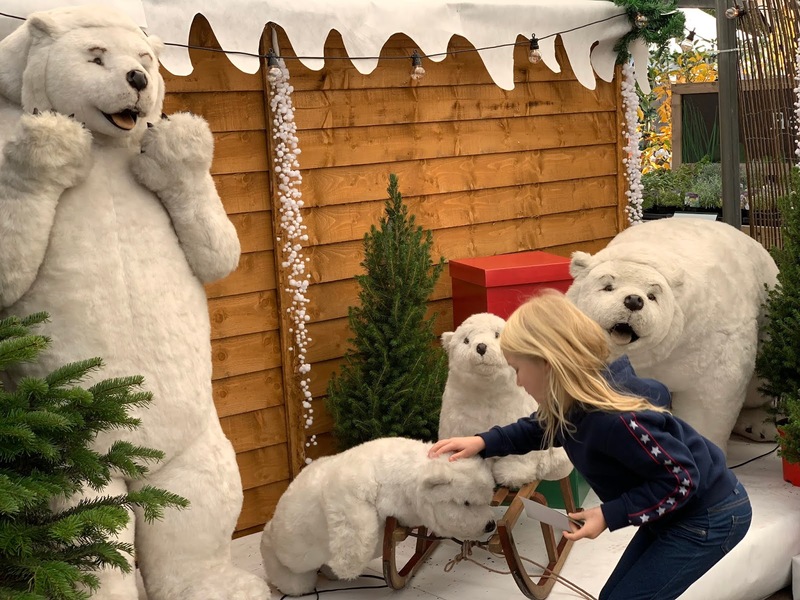 Wyevale Braintree has a number of other Christmas events you can book up to the 24th December including: Breakfast or Tea with Santa, Festive lunch and Festive Afternoon Tea. 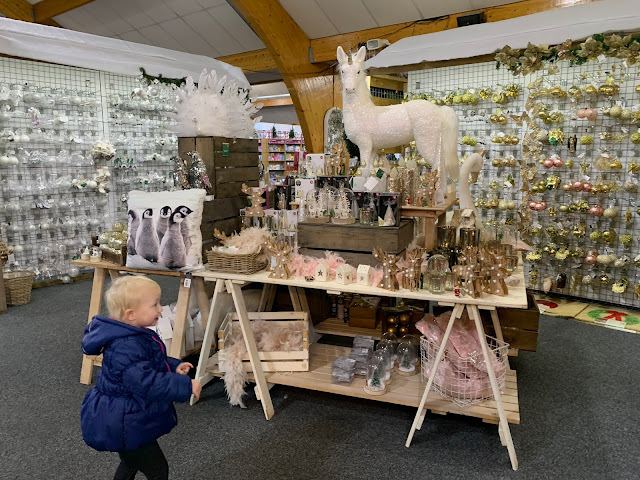 Wyevale Garden Centre can be found just off the roundabout on Cressing Road, Braintree, CM77 8DH. There is a free car park.